INDEFINABLE: Twinklebear and I are more than Twin Flames. Words matter because they are the vehicle with which we try to convey our simplest feelings and circumstances, to the most complex manifestations of human, superhuman and beyond-human (which we can characterize as “spiritual”) existence—to ourselves and others. Since the beginning of time, couples who have found themselves to be bound to each other with tethers of mind, emotion and soul have endeavored through “words” to define exactly what they were. Welcome to the world of the indefinable! In writing this article, it is even difficult for me to use an applicable term for these early “beyond-human couples,” so I shall call them “separated halves of one soul.” These early separated halves of one soul are described by this terminology accurately, but clumsily—too clumsily for the graceful conveyance of all that this means and portends for these “early adopters” of their fate—to the Outside World of the “unaware” (non-separated halves of one soul). The human mind demands an attractive turn of phrase to describe anything profound. It is human nature to follow Occam’s Razor—to boil down the complex to its essence so that it is easier to grasp. This certainly applies to matters of separated halves of one souls. So, what these early adopters of twin flame language did, was to come up with conceptual words to attempt to define what they were not only the the general public, but also to themselves. The first term they came up with, was “soul mates.” This was fine, except that it soon became obvious that this term applied to more than one partner in life, partners whose importance to the person did not extend to the much higher level that “separated halves of one soul” experience. “Okay….” the early adopters of language reasoned, “….then we’ll just use ‘soul mates’ as a designation for kindred spirits in life”—a designation falling far short of the terminology needed for the rarefied stratosphere of separated halves of one soul couples. That is when early “separated halves of one soul” came up with the all too casual “twin flames” or “twin souls.” Please take note of the fact that when separated halves of one soul were discussed in the bible as consisting of 77,000 couples, neither “twin flames” or “twin souls” were found. 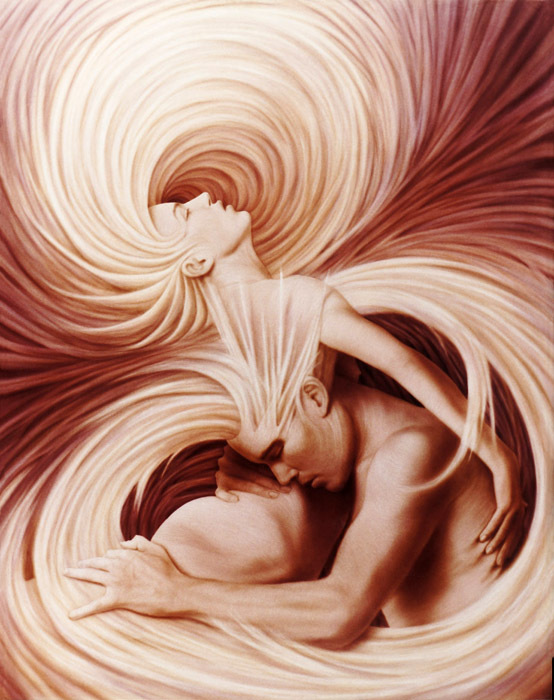 As a result, the terms “twin flames” and “twin souls” are devoid of the gravitas that the concept of the love, need and commitment of separated halves of one soul, requires. The phenomenon is eternally real, but the terminology is one dimensional and flimsy. That is my problem when writing this article. Can I find a better term than “twin flames” or “twin souls?” I don’t know. I can only tell you that Twinklebear and I find these terms woefully inadequate. We may not be able to find better terms, perhaps meaning that we will continue to use “twin flames” for lack of a better term. I normally capitalize the first letters of “Twin Flames” to accentuate their profundity. What we can do is to try to describe all that we are, and were, an eternal phenomenon that defies description. Not in the Hallmark Card wishful thinking sense, but in the literal sense. Twinklebear and I are forever. We were always together since the beginning of time, true separated halves of one soul, who have yearned through centuries and millennia, in the present and the future—to be united. Twinklebear and I are as old as time itself. We have been the only ones for each other before, now and in the future. We transcend time. We transcend spatial divide. We transcend missed opportunities in many life times when we did not live when the other lived. We transcend life itself. Whether we are “more” than others who claim to be separated halves of one soul is a question that is unanswerable, and I am sure entirely too presumptuous on our part. But we do know, that we are “more” than the trendy terms “twin flames and “twin souls” imply. You might have noticed that we’ve failed to come up with a better term for true separated halves of one soul. That is because we are profound to the point, that we are indefinable in human terms. AHH thank you my Sookybear,so true. I cannot even begin to define, what we are … It is indescribable, not even human, at times. We are just one. I love this memoir, thank you .you’re so adorable! So clever!